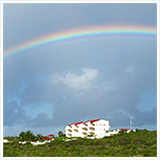 When referring to Anguilla, my favorite place to truly relax, I call it Five Star Rustic. Mind you, when our family of four first visited, there were two traffic lights and many unpaved roads. Now, I think most roads are paved and Anguillians boast maybe six or more lights. However, these changes don't change the flavor and feel of this tropical paradise or its gentle people. When we are there, everyday is perfect. No matter the weather, the surf, the time of year or where we stay. 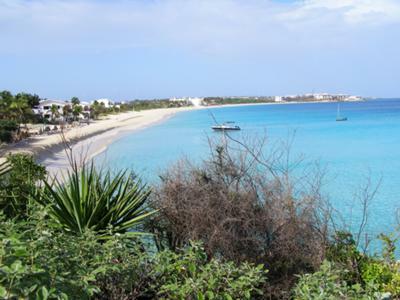 However, I will venture to try to capture my perfect day on the best kept secret in the world, Anguilla. We often stay on or very near a beach to allow us to enjoy a morning walk surfside. As we leave our footprints in the sand on the water's edge, we always say it feels like marshmallow pancake batter between our toes - so soft, so fine, so familiar. Often, no matter what beach we walk, we feel like we are the only ones there. It is like we have the whole island to ourselves. When a stray passerby does materialize, we share a sly smile acknowledging to each other that we are one with the sea and reefs and the schools of fish we can see in the crystal clear turquoise waters lapping at our feet. Along our path, the sea leaves us beautiful conch shells that ask us to take them home as reminders of these moments. The calm waters whisper to us to take a dip before we venture to breakfast with wet hair and sandy feet. Speaking of food . 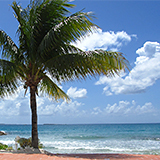 . . Anguilla has some of the best cuisine and service of anywhere I have ever traveled. Again, Five Star Rustic. You generally will be eating in a simple wooden structure on or very near the beach, but the culinary delights conjured up from the kitchen or grill rival most top rated restaurants. So even if you eat in for breakfast, you must imbibe on the local fare for lunch and dinner. Our favorite lunch spot is Gwen's at Shoal Bay East. We place our orders upon arrival - always the snapper platter - and then settle in on one of the hammocks swinging from the coconut trees, until she gently calls us to eat. Afterwards, we walk around the point and the length of the beach to justify the Caribs we had with lunch. 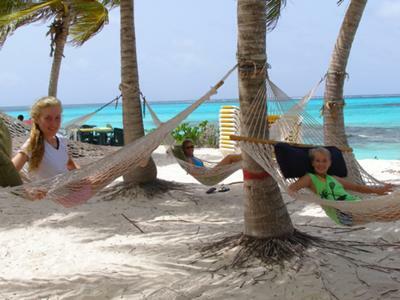 Then we snorkel the afternoon away and watch from our hammocks the birds dive for fish. When we leave there, we always know that all is right with the world. Now, Gwen's may be our favorite, but Smokey's on the Cove, Scilly Cay, Prickly Pear, Straw Hat, DaVida, Nat's at Junks Hole and the Half Shell on Barnes Bay, offer up very close seconds. You cannot go wrong. There are no bad choices. With that being said, each offers a view, a swim, sunbathing and the ever important nap in the sun post meal. Chaises, umbrellas, the sea and great food - one could ask for nothing more. That is not true. I love the mats offered at most places or I take my own to float for hours on the calm waters listening to nothing more than the sounds of the sea. Sunset marks the end of our beach time and we wait patiently for it to kiss the horizon and bid us good night with that iridescent green flash. My perfect Anguilla day always starts and ends with a luxurious shower outside as the sun is rising or under the stars before my next culinary adventure. 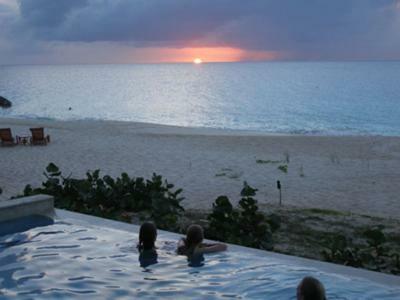 Most villas in Anguilla offer this vital amenity. There are too many phenomenal restaurants for dinner to list here, but remember that when you are finished, no matter where you go, you will feel like family when you leave. Also, you will have new lifelong friends from the tables near yours, the staff, chef and owner. 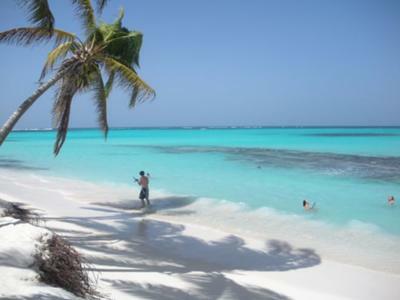 There is a sincerity to the Anguillian people and the ex-pats that now call Anguilla their home. You will envy them and understand why the island is so special, because its people are so gracious and genuine.